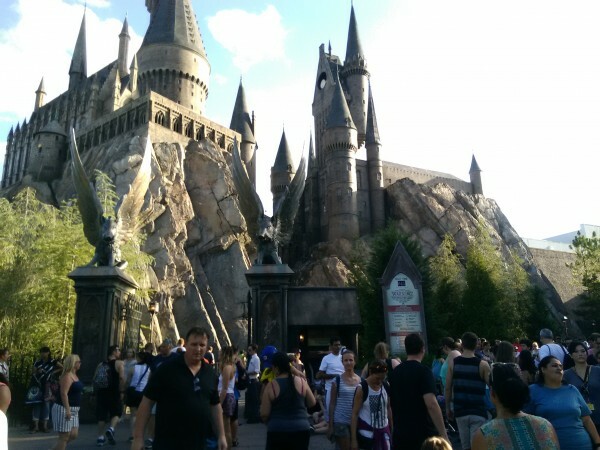 Finally we got the place I want see! 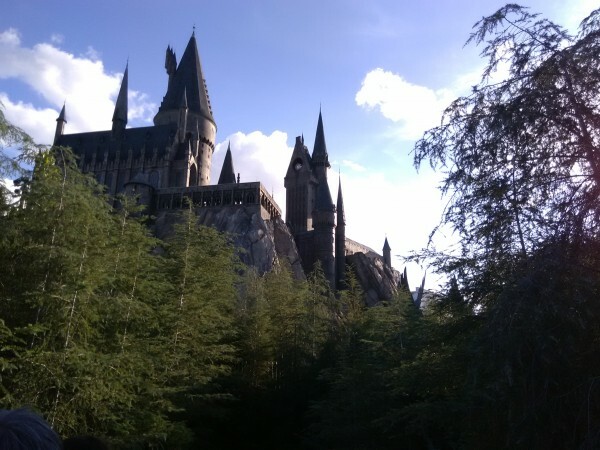 I love everything there!!!! 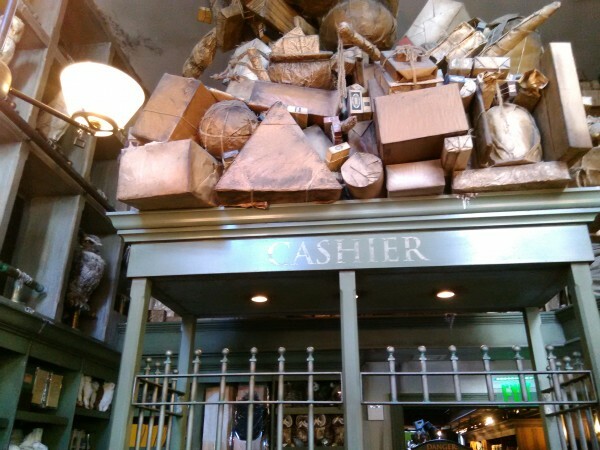 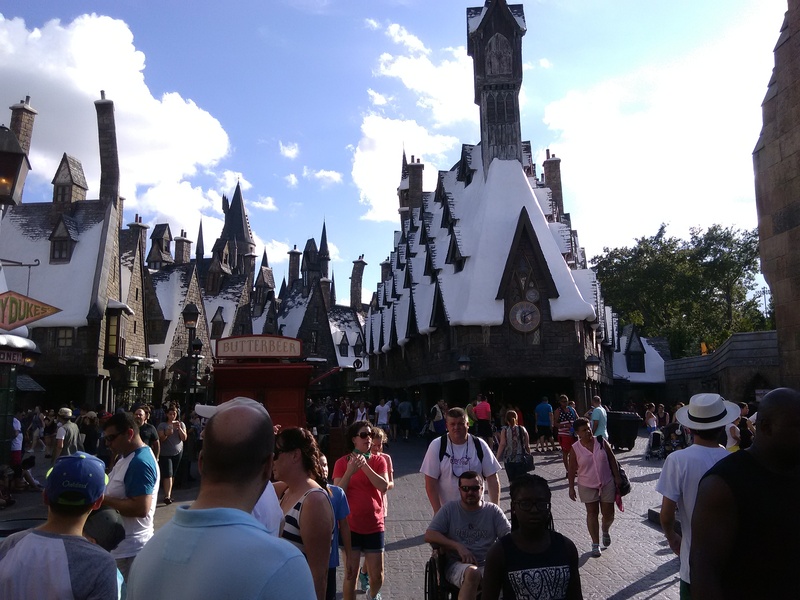 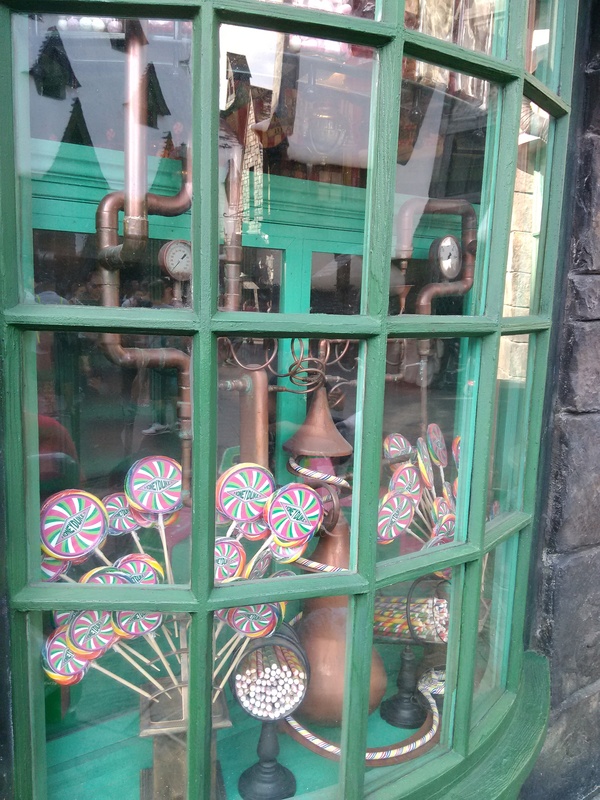 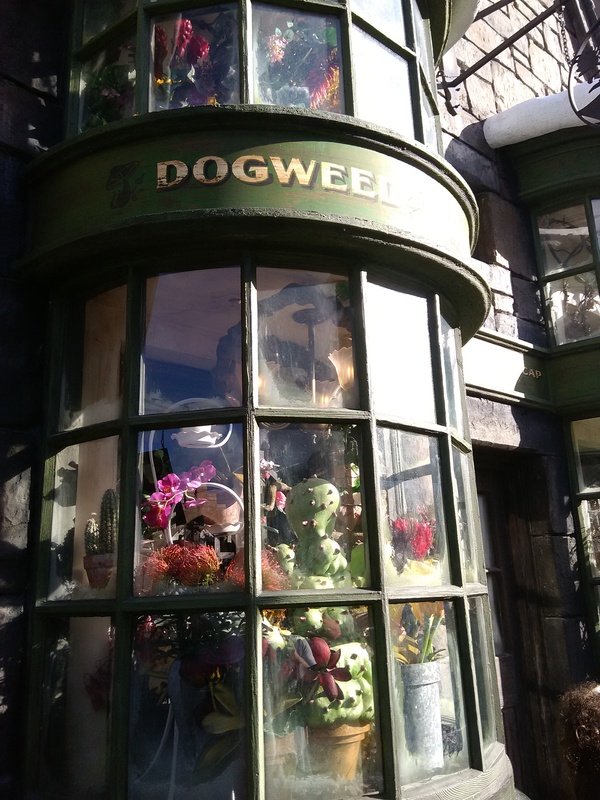 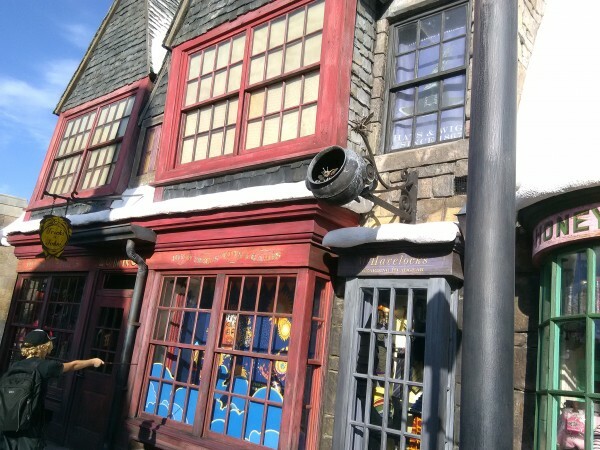 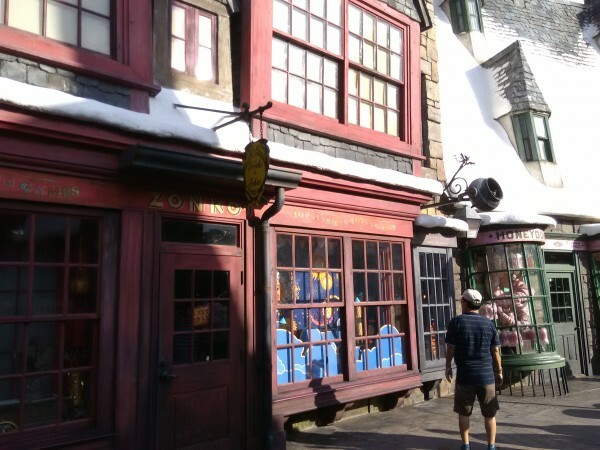 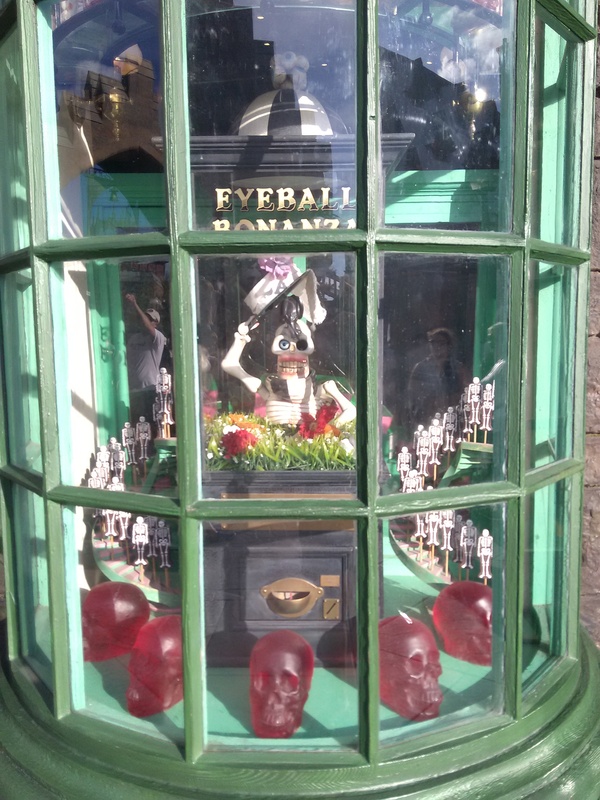 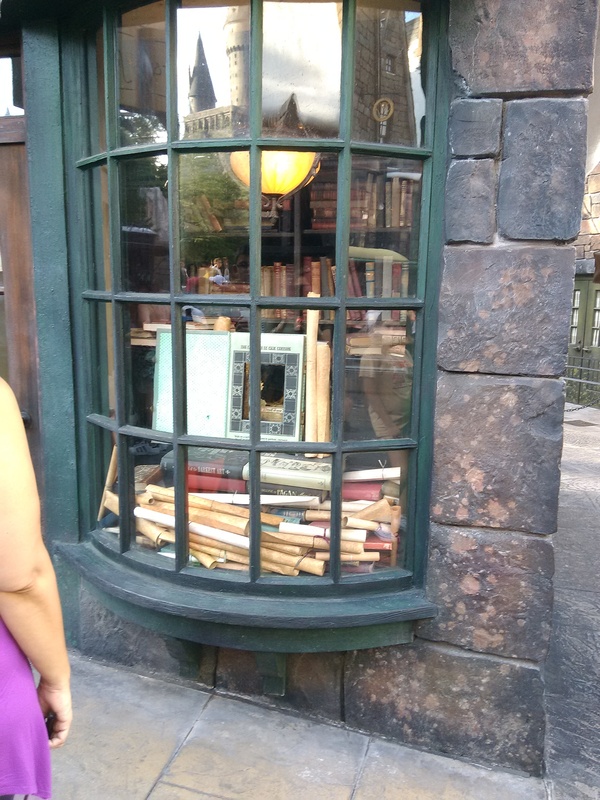 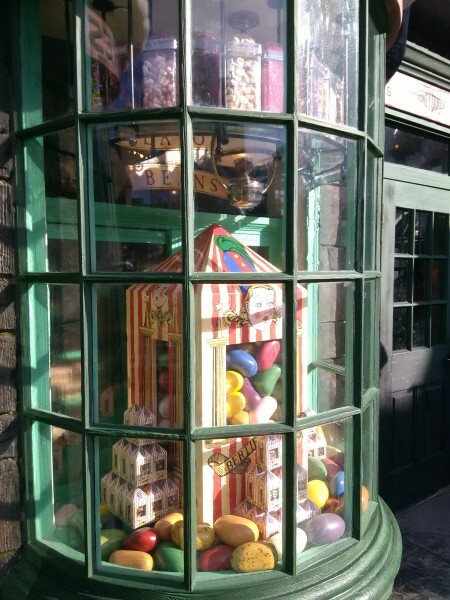 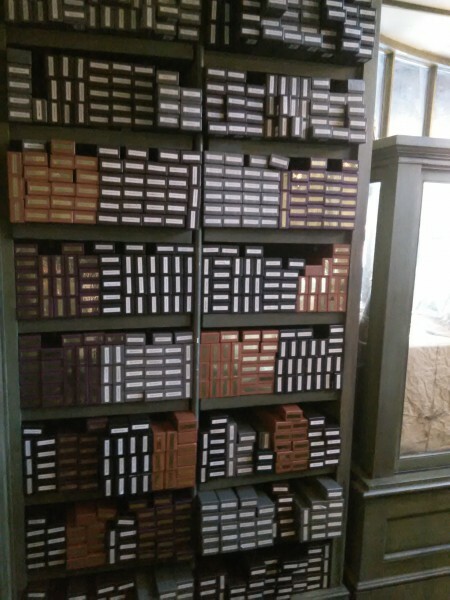 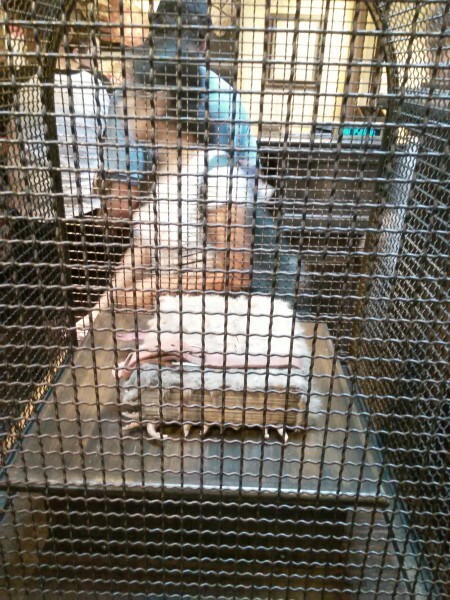 Hogsmeade look so real with all the shopps covered by snow and its windows full of interesting stuff. 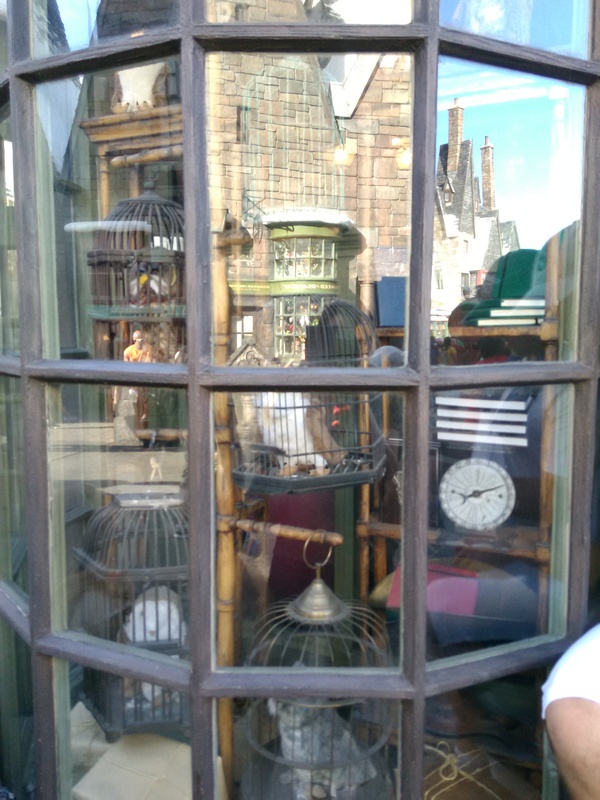 I look into every window, can't miss nothing there. 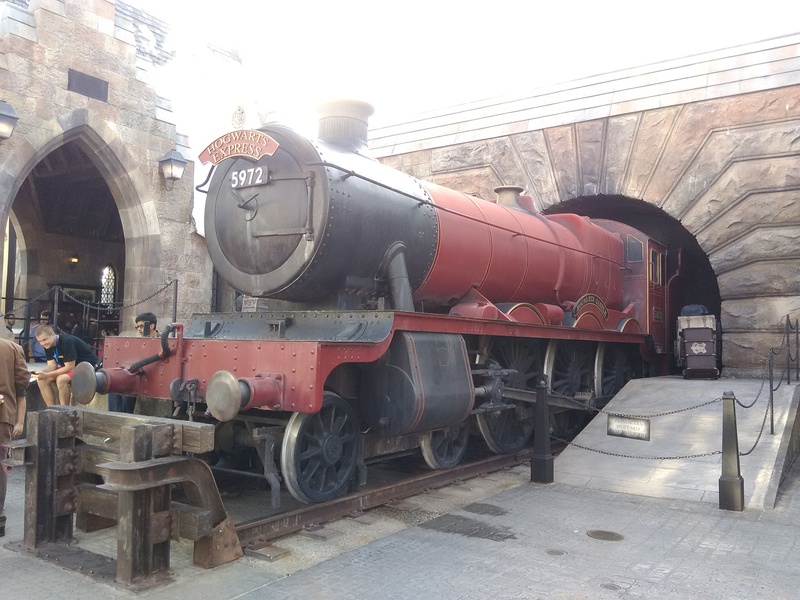 The first we saw was a reply of The Hogwarts Express near the entrance. While we was looking in the windows, some people were there with their Magic Wand casting spells to the window First we didn't understand was going on because nothing happens untill we saw a woman in other window reading some sign in the floor which had a spell that you have to imitate the movement poiting to the window... then inside the window something will happens! 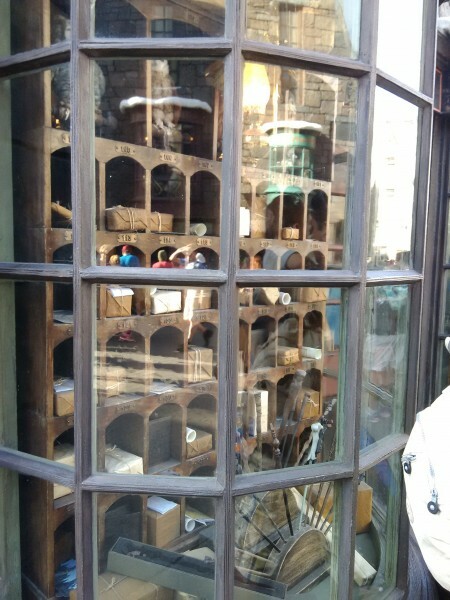 It's different to each window.. in one, a book opened, in other some stuff started to move, etc. Really funny if you buy a magic wand! And there is even more! you can buy ButterBeer and Pumpkin Juice... 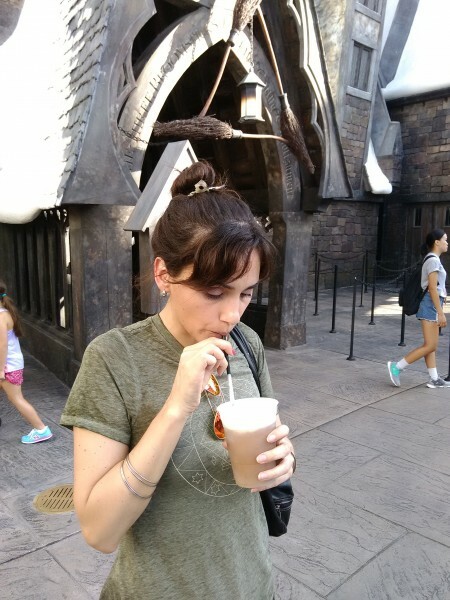 I can't help and i bought a juice... best juice ever I've drunk!!!! 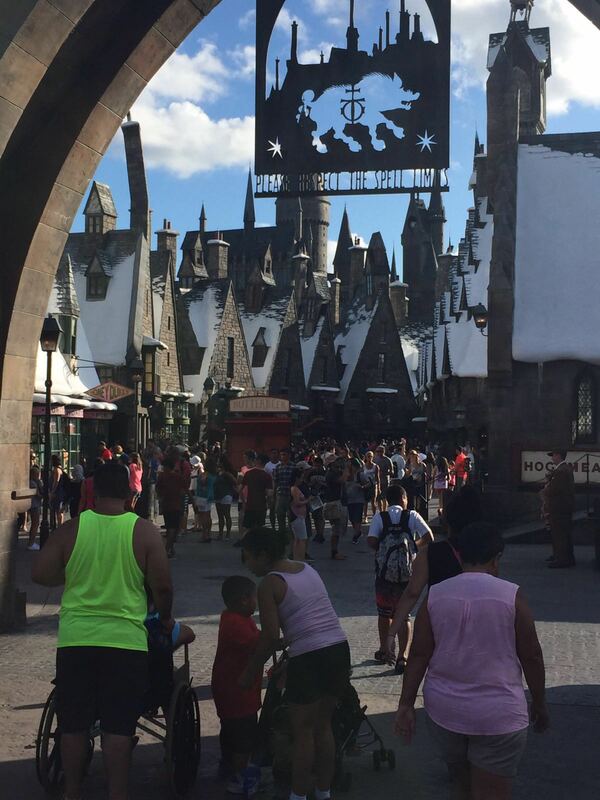 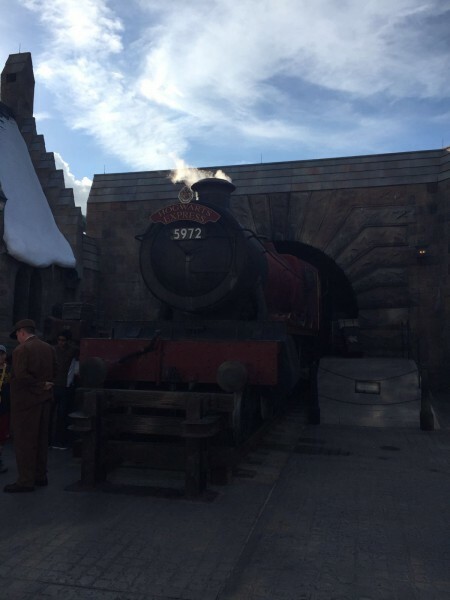 You can take the Hogwarts Express to go from one park to the other park.